The Hammer Museum is pleased to announce the artists participating in Made in L.A. 2014, the second in an ongoing series of biennial exhibitions focused on work created by artists in the Los Angeles region. Made in L.A. 2014 will be on view June 15–September 7, 2014 at the Hammer Museum and will feature 35 artists with an emphasis on emerging and under-recognized artists. Made in L.A. 2014 will be installed in every gallery of the museum and debuts nearly all new painting, installation, video, sculpture, photography, and performances created specifically for the exhibition. There are 11 major new commissions for the exhibition and every artist has received an honorarium. The exhibition will be accompanied by a comprehensive hardcover catalogue, as well as a full roster of free public programming. 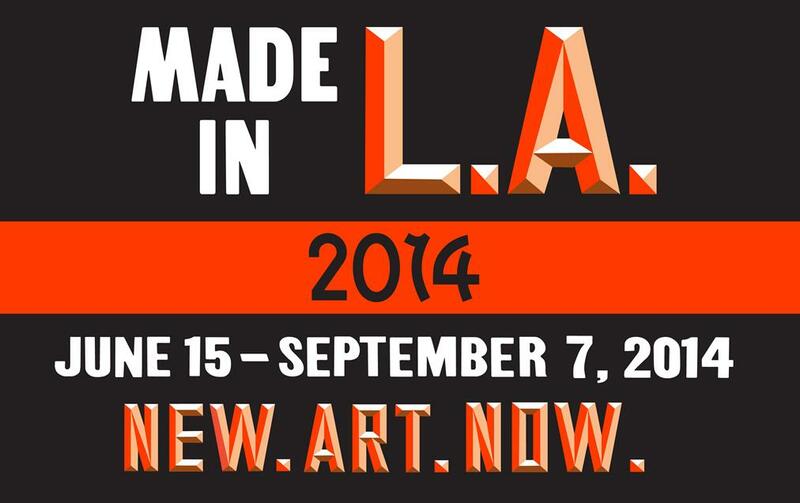 Made in L.A. 2014 is organized by Hammer chief curator Connie Butler and independent curator Michael Ned Holte. Made in L.A., organized by the Hammer Museum, is an ongoing series of biennial exhibitions, focused on artwork created in the Los Angeles region by emerging and overlooked artists. The first iteration of Made in L.A. was in 2012, and prior to that the Hammer mounted an Invitational exhibition every two years with the exhibitions Snapshot: New Art from Los Angeles (2001); International Paper: Drawings by Emerging Artists (2003); THING: New Sculpture from Los Angeles (2005); Nine Lives: Visionary Artists from L.A. (2009) and All of this and nothing (2011).